New York’s cocktail world has its splashy, big bars. Amor y Amargo’s Sother Teague prefers to work in very small spaces — and to keep his focus equally narrow. His East Village bar would be a squeeze even for a takeout wings counter, and it’s dedicated to all things bitters. There are no juices or syrups; every drink is stirred. It’s, in part, a practical solution to working in what amounts to a walk-in closet. 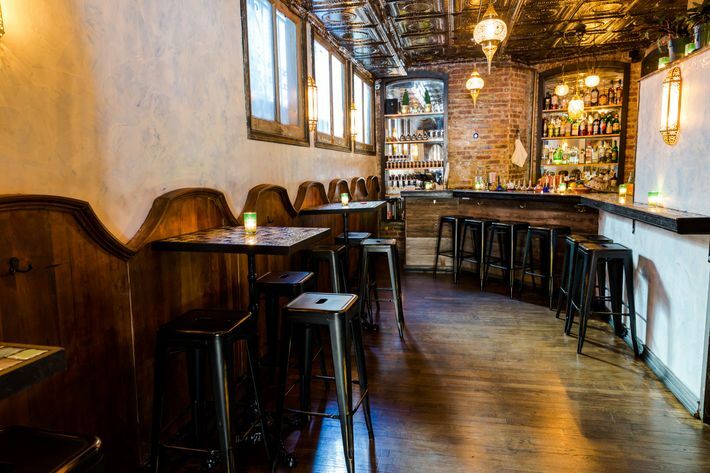 The result is a bar with drinks like no other in New York. For the last seven years, it’s also been Teague’s only permanent place. Now he’s giving himself a little room more — but not too much — to stretch his legs out at Blue Quarter, which opened this week. “That’s our jam. Little rooms,” Teague says he told Local 92 chef-owner Shai Zvibak one night at Amor y Amargo. As it turned out, Zvibak had an unused little room in his the back of his nearby East Village restaurant and was looking for something new to do with it. One thing led to another, and Teague moved in, bringing along Amor y Amargo’s Max Green as head bartender and co-owner. Accessed through the restaurant, Blue Quarter is narrower but longer than its older sibling, with 18 seats and room for up to 35 people. 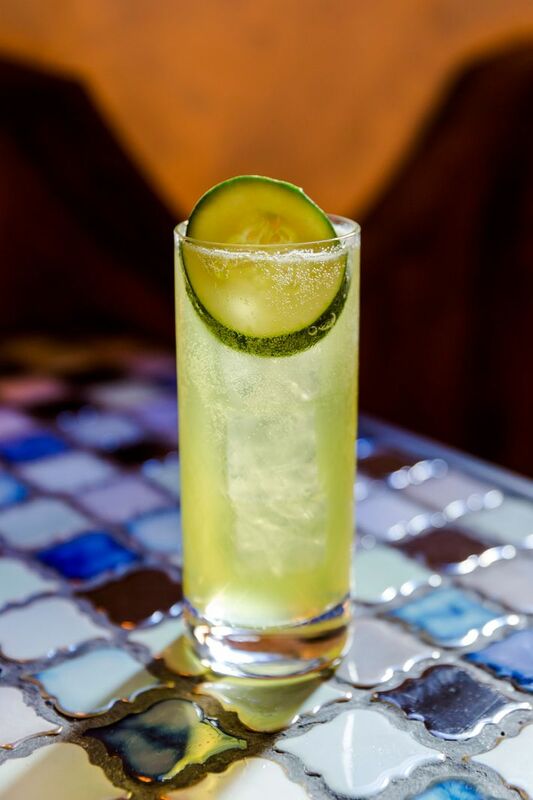 Taking cues from the restaurant, the bar has a “Mediterranean-slash-Moroccan theme” that informs Green and Teague’s cocktail menu. 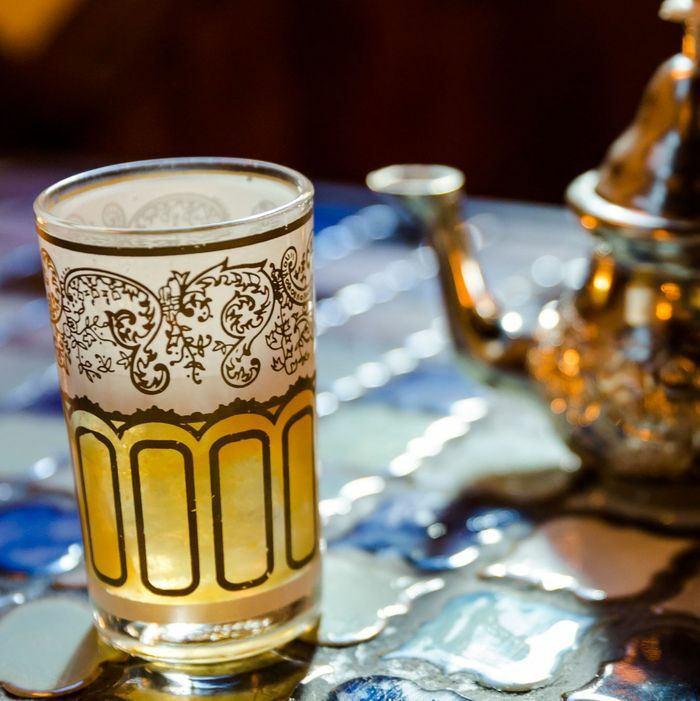 Nine of the ten drinks (all $15) on the opening menu are made with tea in some form of another. (It’s an idea also explored by Los Angeles’s Rudolph Bar & Tea.) Jasmine oleo goes into the Rough Cut, and matcha adds earthiness to the otherwise tropical Unfinished Story. 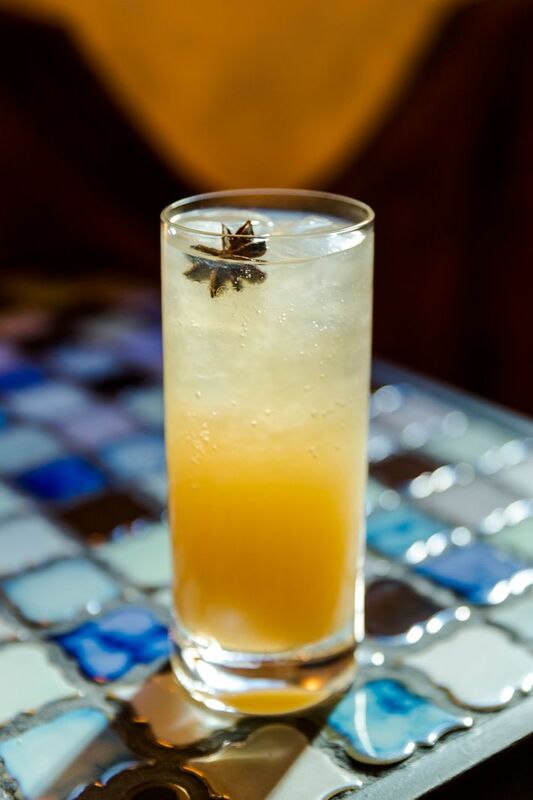 The white spirits in the Oolong Island Iced Tea are infused with (you got it) oolong tea and the Dragoon’s Punch is made with black tea and poured long, like Moroccan tea, from a Moroccan tea pitcher into a teacup. It’s a playfulness you won’t see at Amor y Amargo. To that end, the pre-batched Martinis will be served on copper trays with miniature tagines — “they’re pointless, they’re useless, I don’t know what someone would actually do with them” — that host olives, onions, and twists for garnishing. 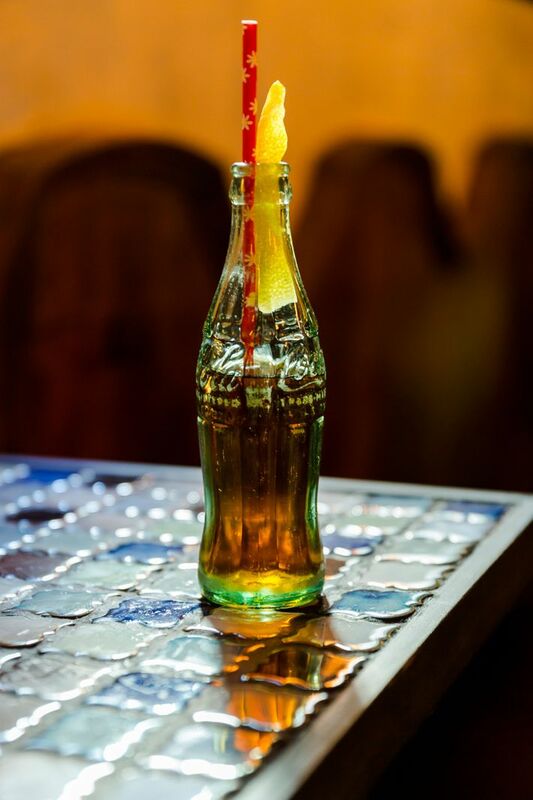 The Oolong Island Iced Tea takes this to the edge: It’s served in vintage Coca-Cola bottles from, Teague says, 1997, with red-and-white striped paper straws.